The answer is YES!! I know no one wants to hear this, especially during the summertime when fruit is at it’s best, but it has to be said. The reason you’re not losing weight could be because you’re overeating too much fruit. While fruit is full of vitamin C and antioxidants, it’s also packed full of fructose which is that bad sugar that our bodies can’t digest. The recommended serving size of fruit each day is about 1/2 cup which is the size of the palm of your hand. Here are some signs that you may be eating too much fruit. Fruit is a classic trigger for bloating and here’s why. 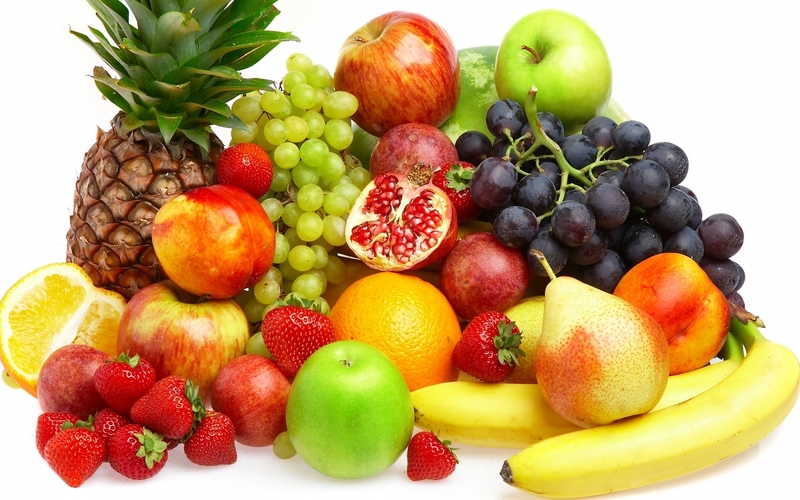 Fruit is rich in a type of sugar called fructose. Unfortunately, many of us are not well equipped to digest and absorb large amounts of fructose. Researchers believe up to 40% of people suffer from a condition called fructose malabsorption in which fructose is inefficiently absorbed across the small intestine. So instead of nourishing us, sometimes fruit sits in the gut and ferments with the help of bacteria. And the result of those bacteria feasting on fructose is a lot of gas and bloating that makes us feel pretty icky. I agree that fruit is a healthier alternative to many desserts and junk foods, but if fruit is a staple item at every meal and snack, you may simply be eating too many carbohydrates to allow your body to lose weight. In brief, any time we eat carbohydrates our blood sugar goes up. That triggers our body to release insulin to lower the blood sugar. How does it do that? By converting it to fat for storage! Not only does eating fruit spike your blood sugar, as explained above, it also doesn’t sustain it for very long. If you have fruit by itself as a snack, you might notice that you’re satisfied for 30 minutes or so, but soon after your tummy starts growling. That’s because fruit doesn’t come packaged with much protein or fat to keep us sated. Yes, it has fiber, which helps a bit, but it’s not enough to prevent a crash in blood sugar after eating fruit. What happens when our blood sugar tanks? We get hungry and we get cravings. Now I love fruit as much as the next person and I’m not saying cut it out completely, but just be mindful of how much you’re eating if you’re not seeing the results you want! Try to stick to the recommended two servings a day and you’ll soon be on the way to a healthier you! Good read Kathy. My family and I will be starting our “No Sugar” Diet on September 1st. I use the word diet loosely as this will be more of a ‘way of life’ change and Im sure we won’t go down to no sugar as everything produces some sugar and our bodies need some sugar, but we will be very very mindful of them. Thanks for the article. I think more and more people should be aware of the dangers associated with Sugars both artificial and naturally occurring !